Well tended Family homestead for sale after many years of pride of ownership for its family. Set on a corner lot facing south, this property offers kitchen, dining room, LR, bath.laundry, three bedrooms, two porch's, back/side deck, 3 story barn plus under house garage! Great Yard- ready for it's next family! 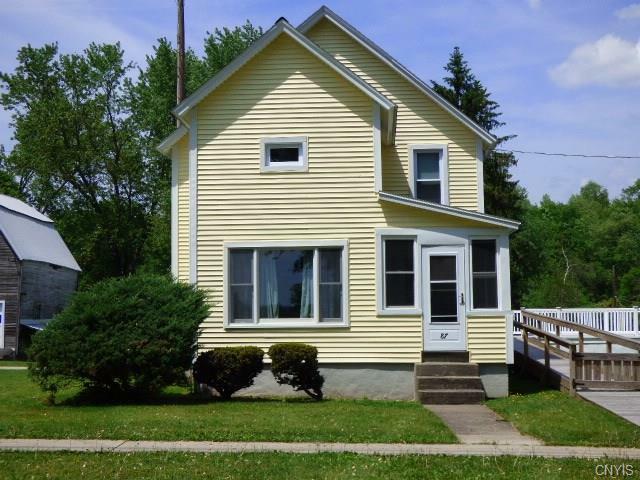 Directions To Property: From Traffic Light In Earlville, Take East Main St. To #87 - House Is On Left! Nearest Cross Street: Clyde St.